He’s the scourge of the Nazi regime. The one man who can send shivers down the spines of elite soldiers. 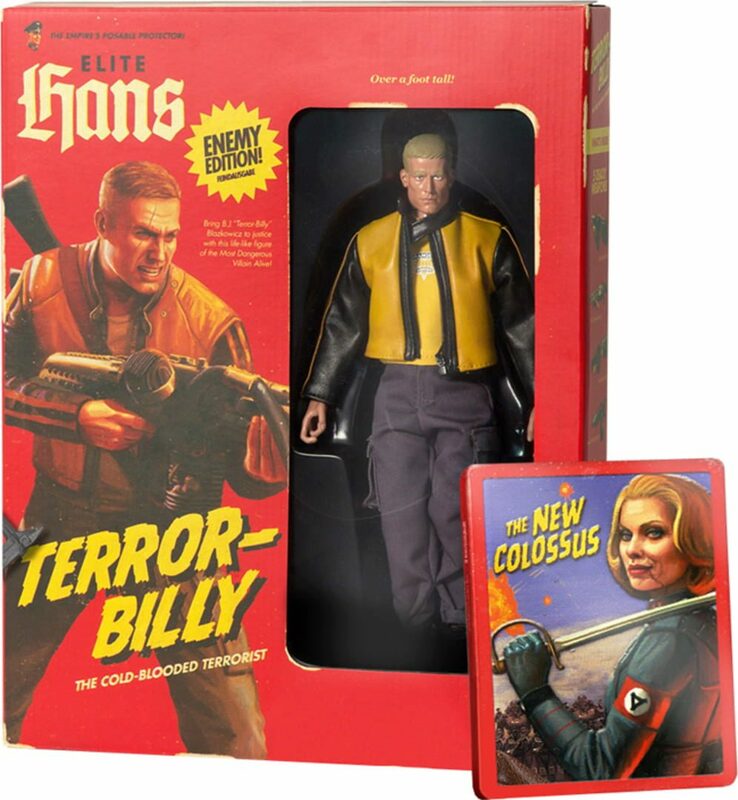 Considered a cowardly killer by the Nazi conquerors – an utterly abhorrent fiend – BJ Blazkowicz has viciously attacked and assassinated some of the top Nazi operatives, earning the moniker “Terror-Billy.” And now, you can possess your very own Terror-Billy action figure, exclusively in the Wolfenstein II: The New Colossus Collector’s Edition! Along with the Terror-Billy action figure, the Wolfenstein II Collector’s Edition includes the full game in a steelbook case and a double-sided poster, all in an amazing box that recalls some of our favorite childhood toys. Available for pre-order, the Wolfenstein II: The New Colossus Collector’s Edition will release on October 27, 2017, on Xbox One, PlayStation 4, and PC.